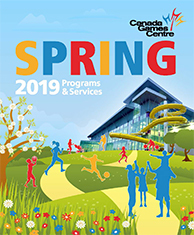 Spring is a time of growth and new beginnings — CGC’s Spring 2019 Program Guide is live with a variety of registered programs to help you grow your practice, skills and strength. No matter how you like to move, move with confidence, stay healthy and physically active regardless of your age. Our quality programs offer something for all interests and fitness levels while focusing on physical literacy and Sport For Life principles. We are offering more 1-day workshops to try this spring. Alter your perspective with Yoga Inversions and Arm Balances, up your skill set with Learn CPR or learn something new with Try It – Pickleball. With an eclectic mix of options, there are plenty of opportunities to discover a hidden talent or a new passion. Register early so you don’t miss out! …And don’t miss out on some of our favourites including Badminton, Karate, Wrestling and Multi-Sport. New this Spring, we are offering Pre Natal Yoga and Mom & Baby Yoga. Pre Natal Yoga is a great way to connect with other moms-to-be, while staying active during all stages of pregnancy. Mom & Baby Yoga is a great way to ease back into activity while keeping your little one close by. 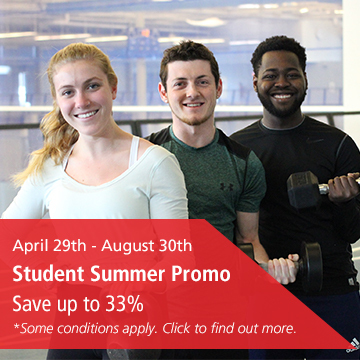 …And there’s even more in the Spring 2019 Program Guide, including Fitness Assessment & Program Design, Personal Training (with one of our Exercise Specialists) and Dryland Team Training. When it comes to Physical Literacy and Sport for Life (S4L) programming, we’re proud to continue to be leaders in Atlantic Canada! Our variety of programs and sports activities help develop the lifelong skills and confidence for our community to enjoy.